How many pictures did you click on your last trip? 200? 300? And how many of those did you post on Social media, or got printed? 5? Maybe 10? But what about the rest? The ones your family or friends smiled for, the ones you struck a pose for? 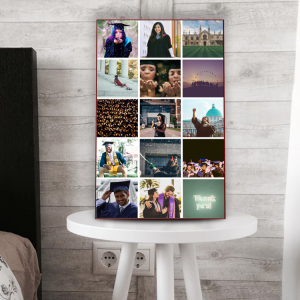 Well, you’ll probably open your hard disk again one day to see all those photos, but that shouldn’t be it and we’ve got the perfect solution to this: Collage Posters i.e. Poster Grids! No more Beaches vs Mountains! Bring your last vacation alive! All your photos from the trip in one place. College is one of the most fun phases of life. You step out of the cocoon of your home and are on your own for the first time. You get to make your own decisions, new friends, and make new memories. And only when you leave college and face the real world, you realise how much you’ll miss it. So don’t leave out a single fun moment, get them all printed as a collage Poster Grid. The final moments from your graduation after years of hard work. Your baby’s first step, first visit to the park, first rain shower, each and every moment is precious and in today’s age, capturing all of these moments is possible too. So you have these in your phones/cameras, why not flaunt your baby’s achievements to the world? 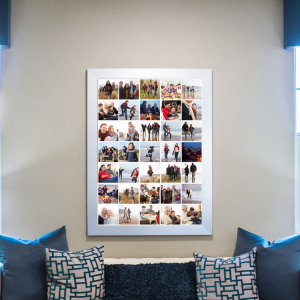 Get all these memories printed together with the Collage Poster Grid! You’ve been friends since you first shared that chocolate in play school. From playing on the see-saw, to being on the same team during soccer matches. From having Rasna at your place after school, to those midnight maggi sessions during the sleepovers, you’ve been through them all. 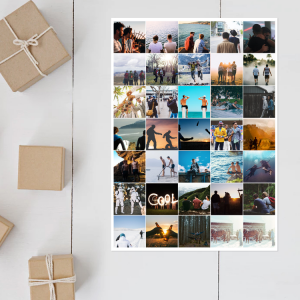 Pay an ode to this friendship – Compile all these memories and gift them to your best friend as a collage Poster Grid print now! Every person holds a special meaning in your life, isn’t it? 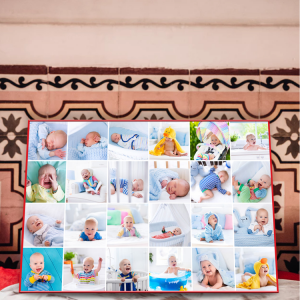 These are just some of the many different ways you can use our collage Poster Grids to make the best of your memories. How are you going to use them? Let us know in the comments below. Click here to create your own Collage Poster grids! Previous Post Out Of The Box – Best Ways To Make Use Of Square Photo Prints! Out Of The Box – Best Ways To Make Use Of Square Photo Prints! Now blog posts delivered fresh to your inbox!